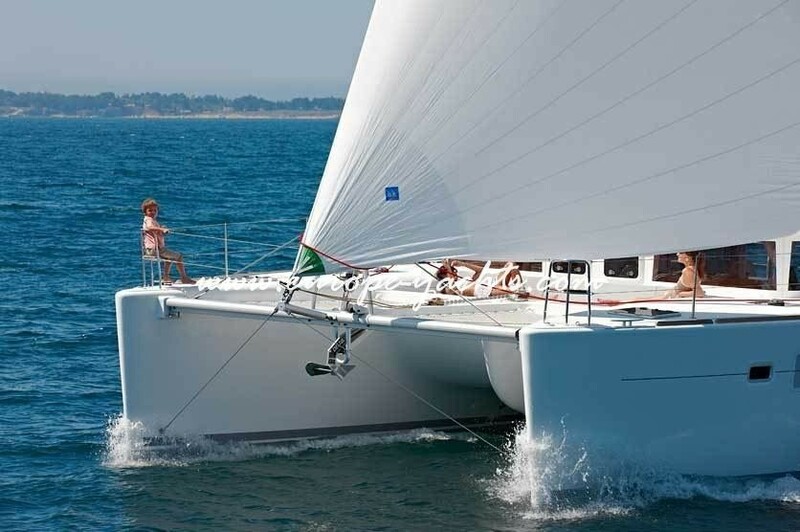 The “S” stands for Sport so the Lagoon 450 S is mainly diferent from the F (Fly) version by the fly bridge. 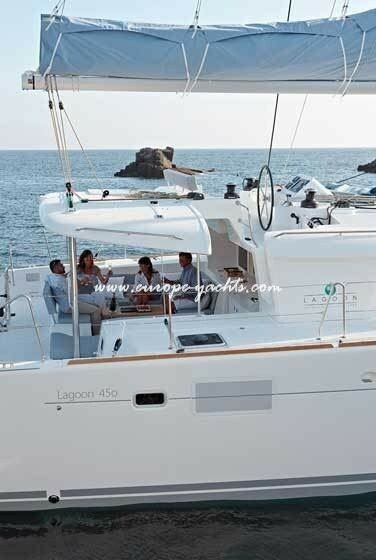 Main goal of Lagoon 450 S designers is replacing the legendary Lagoon 440 (over 400 units built!). 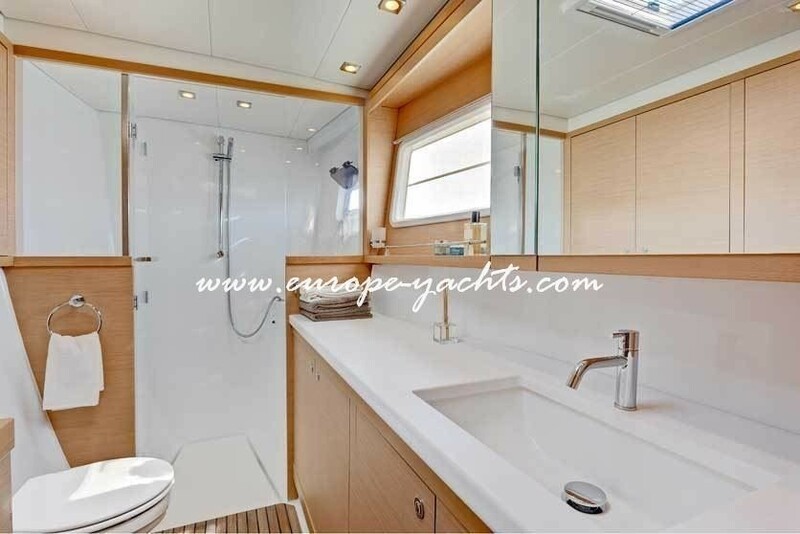 Of course, retaining the irreplaceable qualities of the Lagoon 440 have been starting point: a steering station on the fly bridge accessible from both sides of the cockpit, a forward cockpit, performance under sail … and an incomparable comfort in the saloon and the cabins. 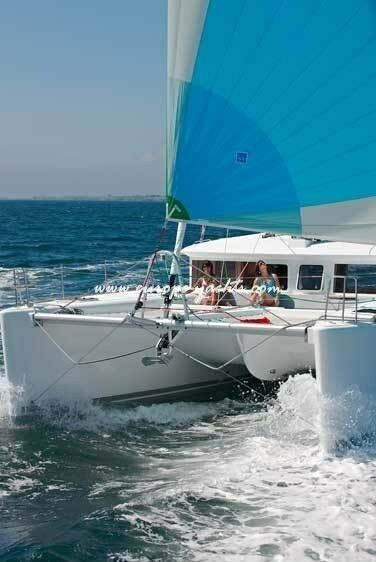 Larger and with a bigger sail area, the Lagoon 450 S benefits from important improvements in terms of safety, performance and cruising comfort. 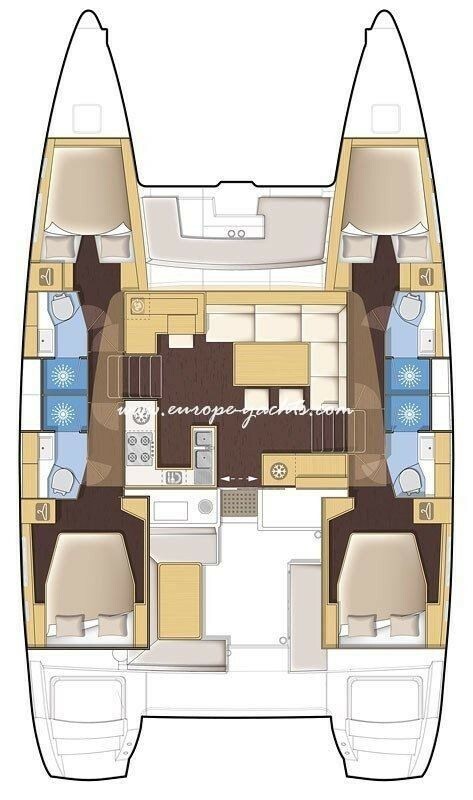 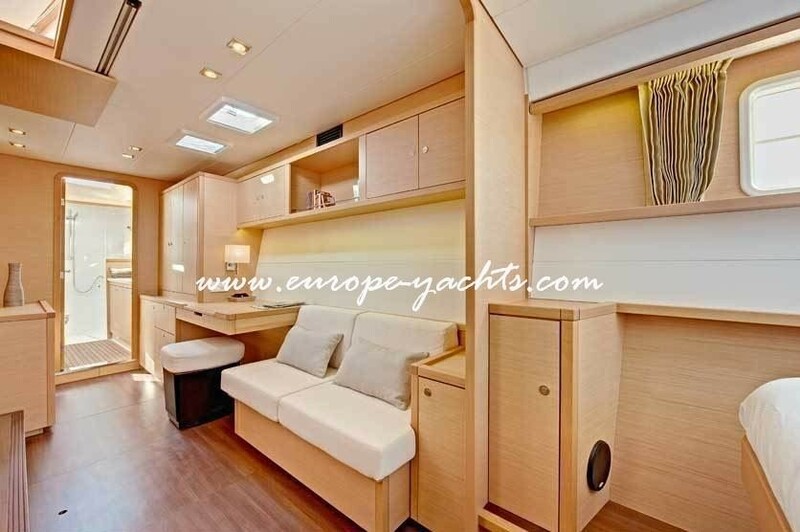 The wide hulls of Lagoon 450 Soffer more volume in the cabins with larger floor space. The saloon and cockpit spaces are well proportioned and the ease of access from one to the other is typical of the layout on Lagoons and always appreciated by our clients. 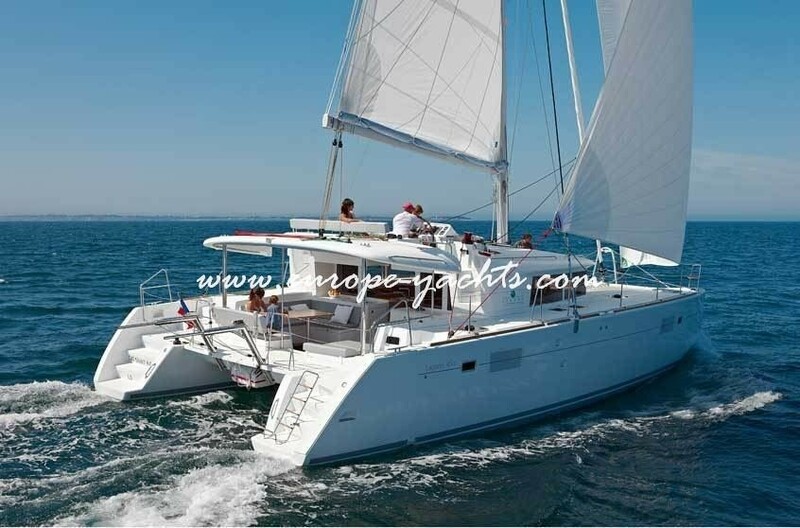 Lagoon 450 charter in Croatia with Catamaran Charter Croatia, largest charter fleet in Croatia and member of Europe Yachts Charter. 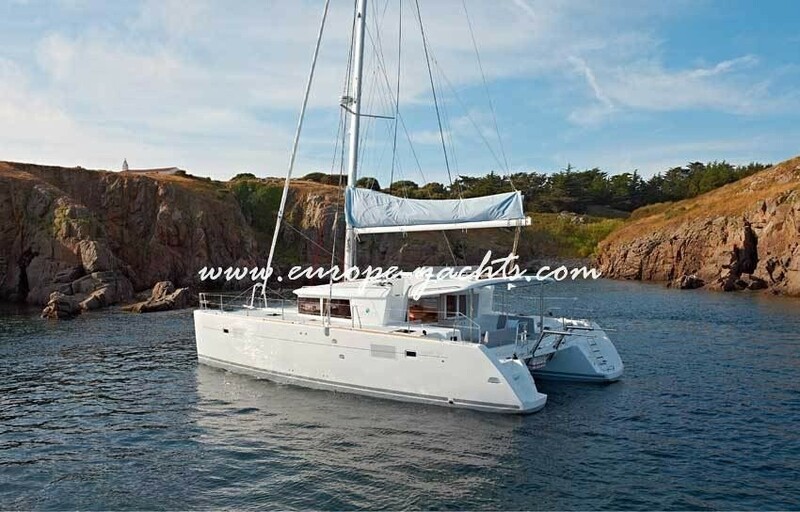 Catamaran Charter Croatia proudly presents the biggest Lagoon 450 sailing catamaran fleet worldwide with more than 20 different models available at various bases. 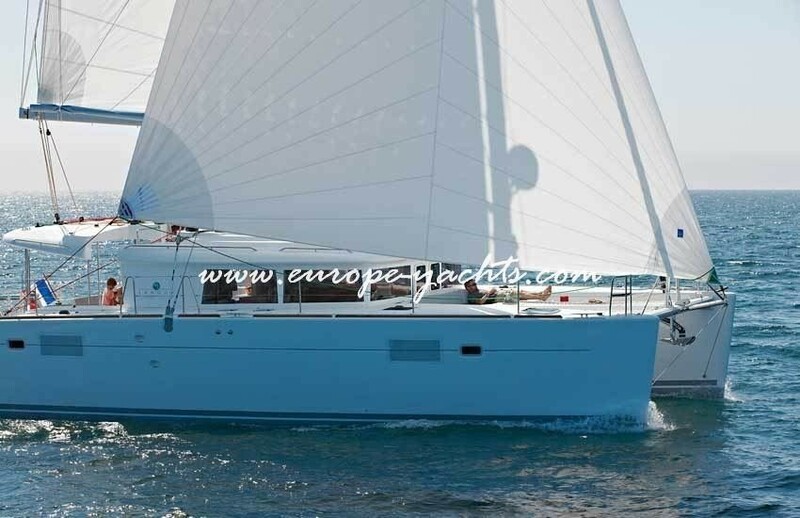 The Lagoon 450 for hire in Croatia scores with Beneteau Lagoon’s well known attributes like comfort, a modern bright Nauta design, space, sailing performance by VPLP and all this at attractive charter rates EUROPE YACHTS is able to provide at first hand. 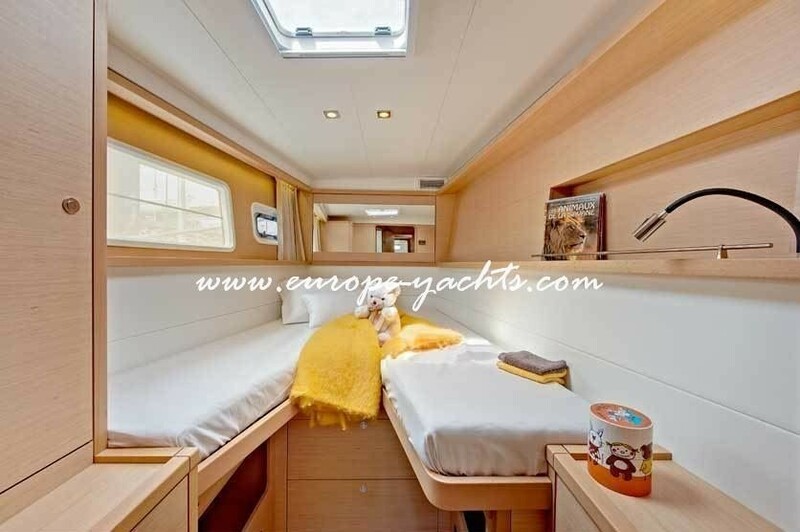 Our fleet has been enriched with new 2017-2018 models available in the 4+2 layout as well as one model available in the 4+1 cabin version. 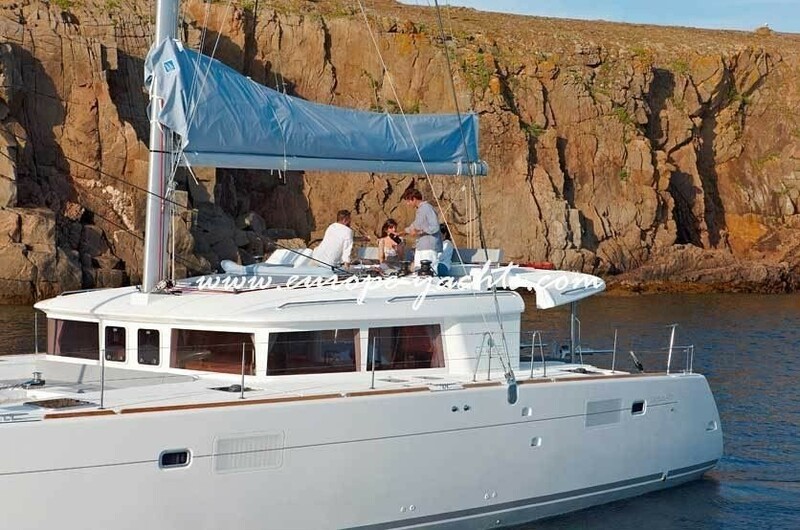 Lagoon 450 for charter features among others a spacious and practical flybridge which has been adapted from super luxury catamarans and motor yachts far beyond 45 feet. 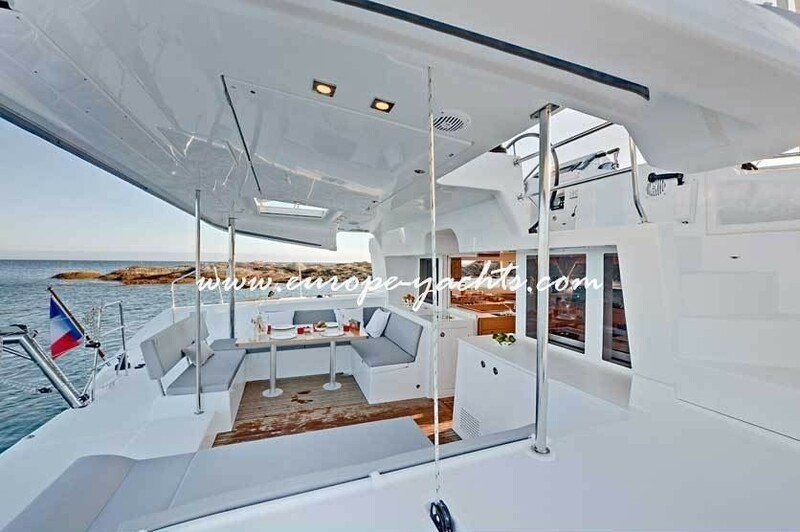 With its raised position the flybridge provides an excellent panoramic views being located around 4.50m above the waterline resulting in an all new primary cockpit and command station. 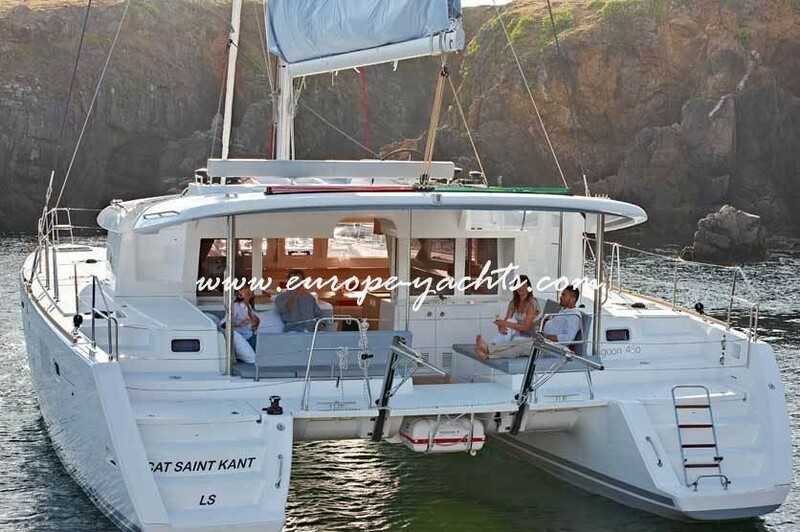 Not only that all engine and sail systems are concentrated and leading to the flybridge, this smart feature of the Lagoon 450 catamaran for rent provides also a nice relaxing area being the perfect open air social area. 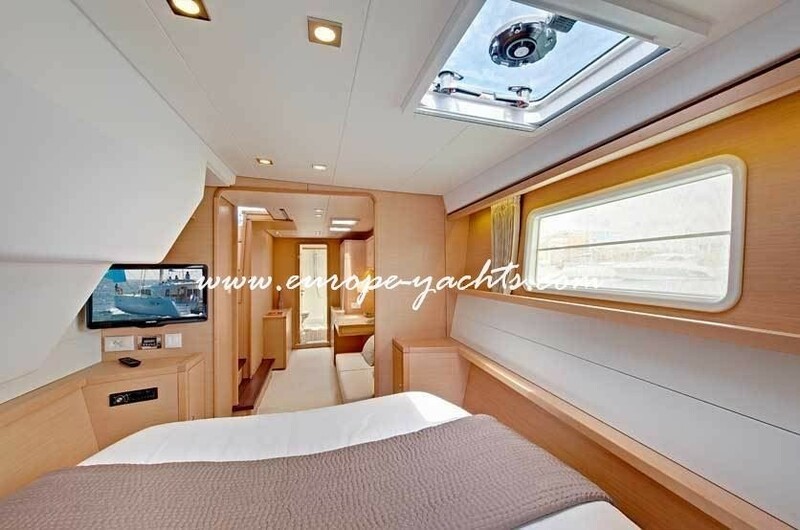 Equipped with cockpit speakers, GPS navigation, sunbathing area and bimini, the flybridge comprises a stairway from the aft cockpit allowing safe and easy access to here. 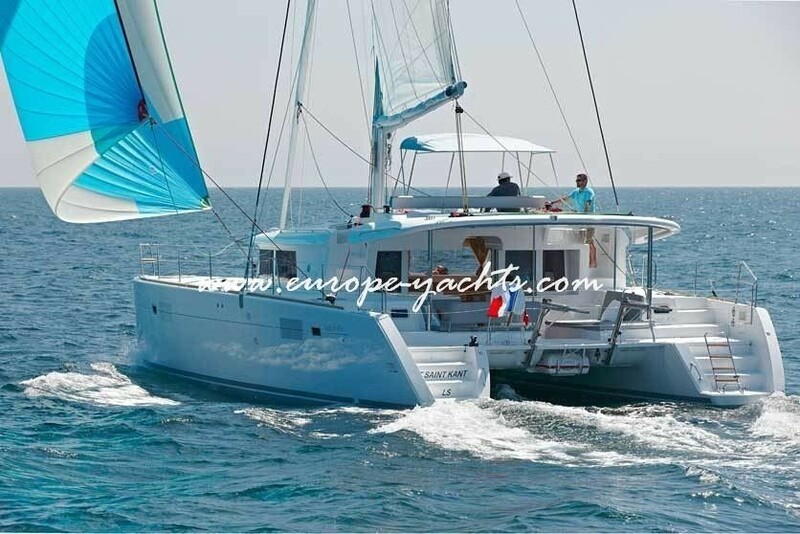 Charter catamaran Lagoon 450 in Croatia boasts with an enhanced transom being your private teak beach extension on sea level not offering only safe entrance into the sea or dinghy, but also being a nice chill spot for enjoying views and let one’s legs dangle in the crystal clear sea. 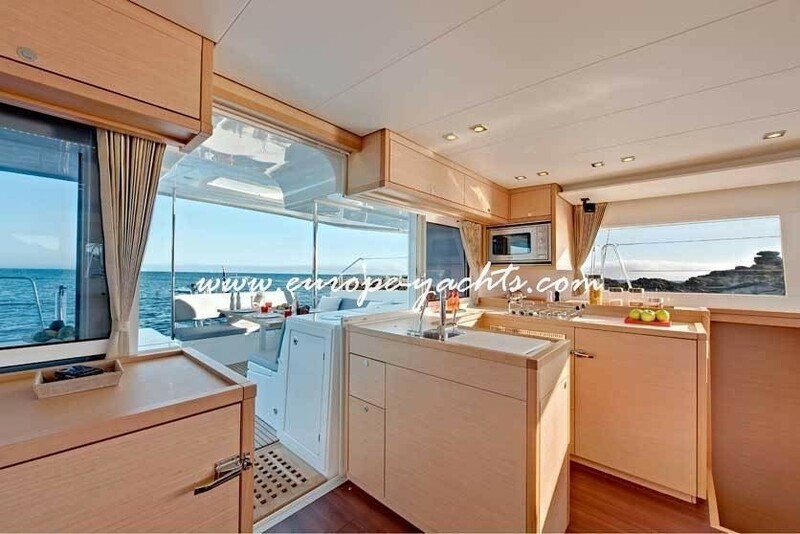 Well positioned hatches allow fresh air to circulate inside, should an air condition system available for most charter Lagoon 450 catamarans in Croatia, be not part of the exclusive equipment on board. 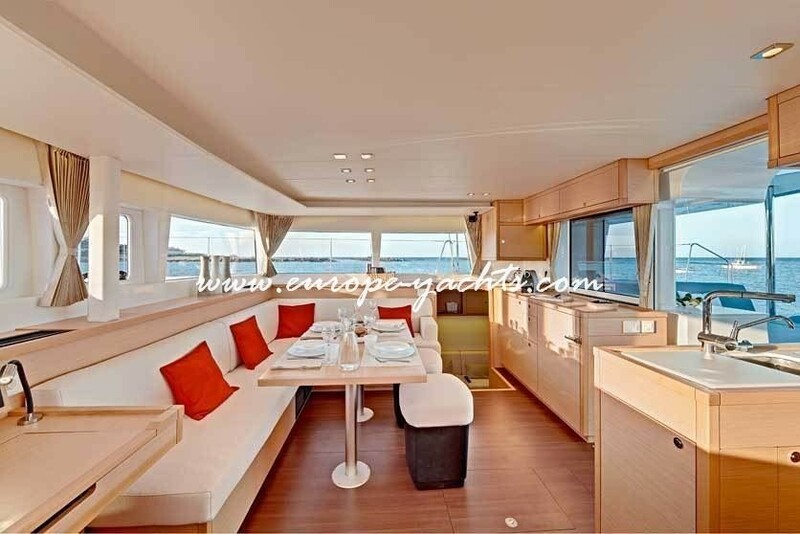 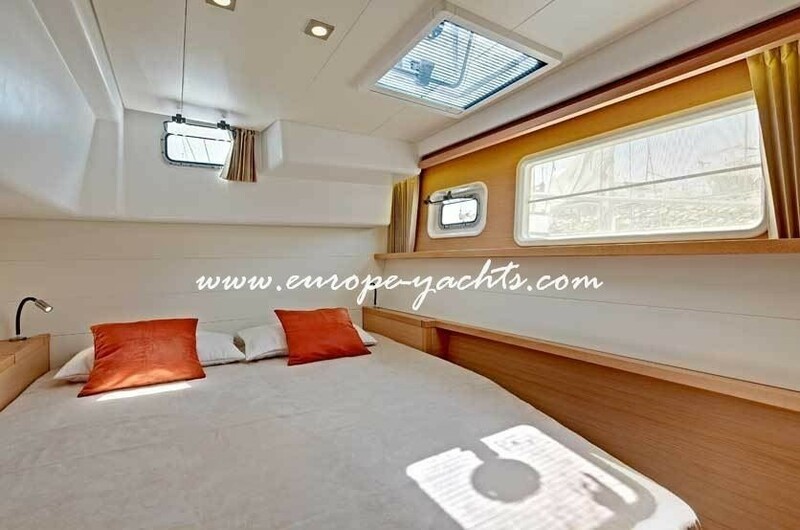 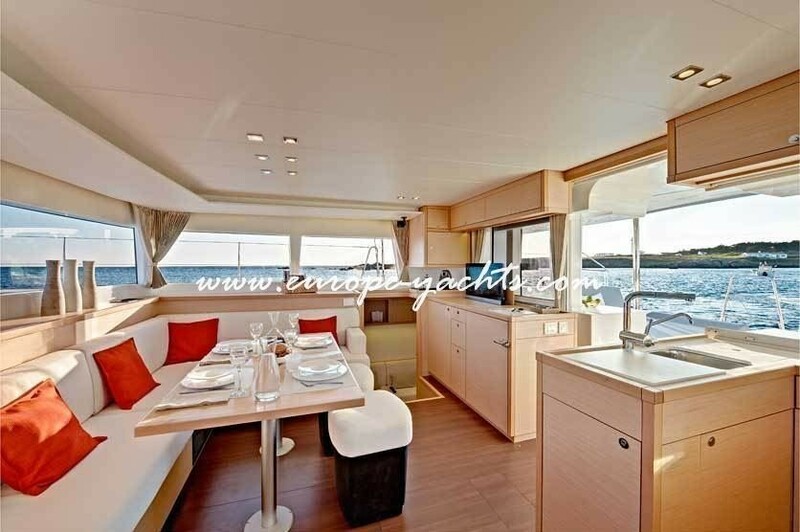 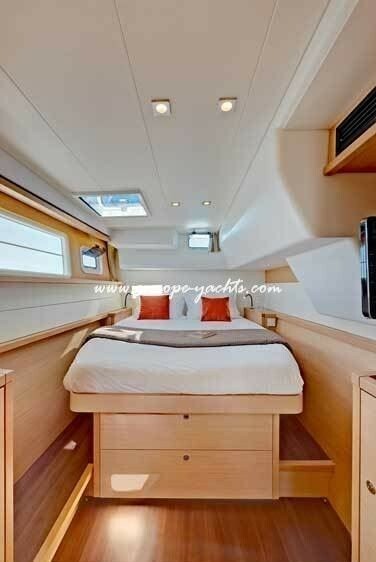 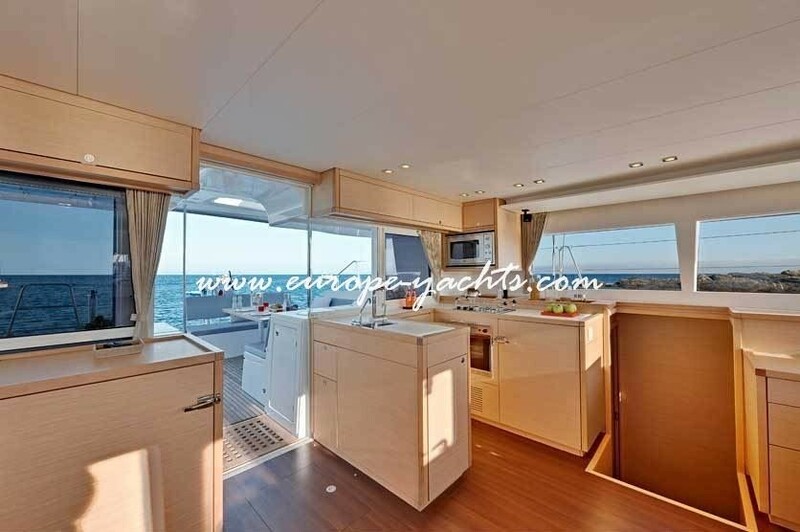 Large glazing panels flood the interior with natural light, and this modern 45 feet sailing mutlihull boasts with optimal space management with lots of storage space and a well-arranged layout comprising an U-shaped galley and comfortable saloon with convertible double bed. 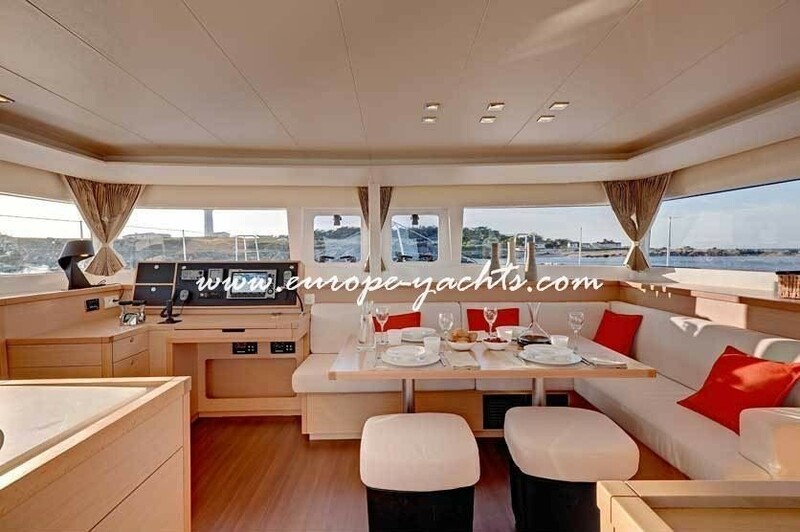 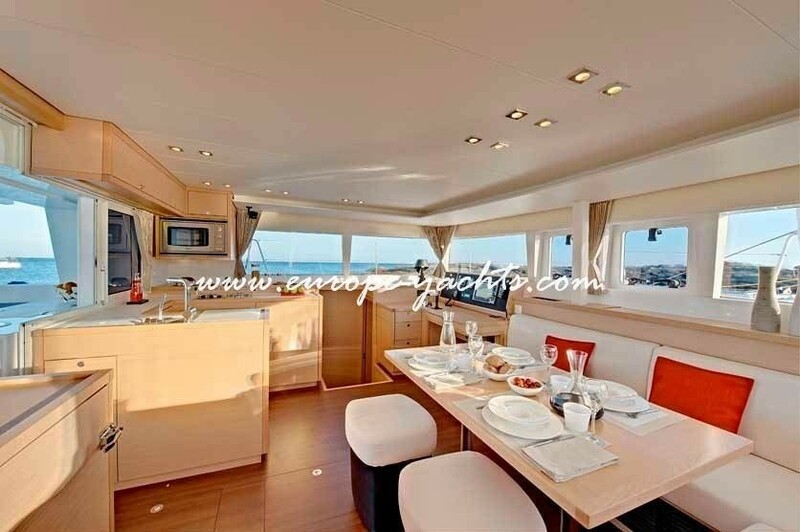 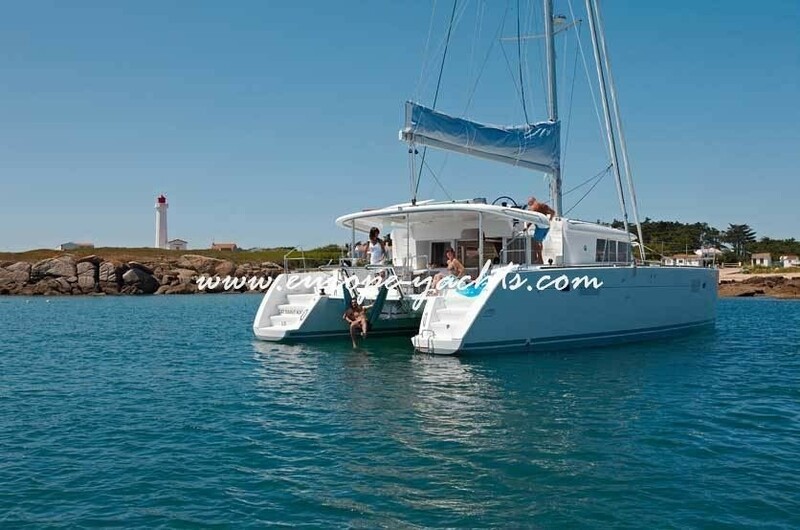 Check the detailed specifications of audio-visual entertainment systems including LED-TVs, DVD-players as well other special equipment of Lagoon 450 charter catamarans in Croatia. 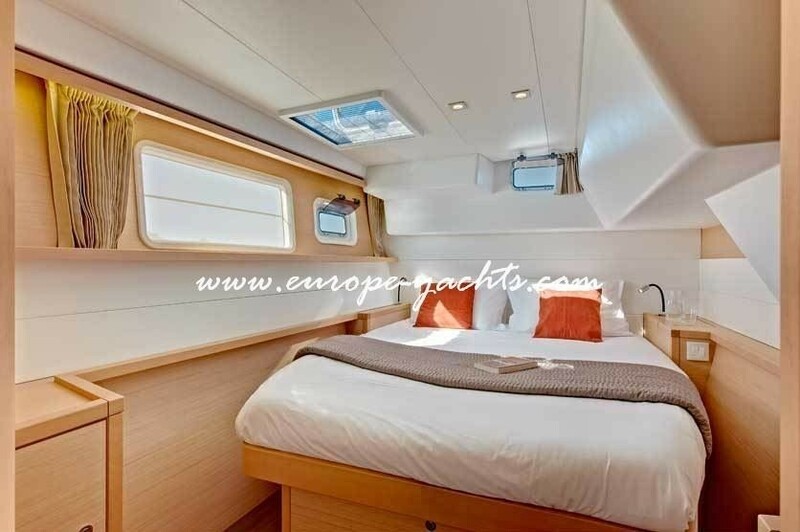 Combining comfort and space with performance like maybe no other sailing catamaran in its class, the Lagoon 450 for hire is a winning formula being the ideal floating apartment for families and couples. 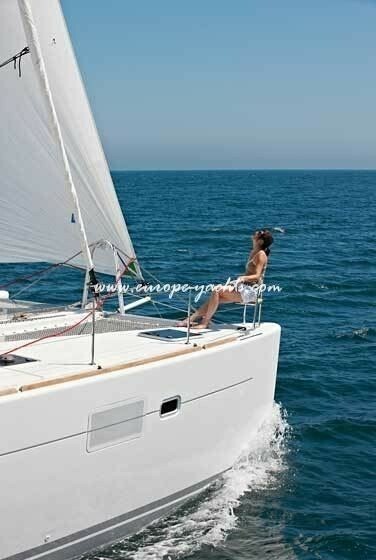 Watch out for our models available in romantic Sicily featuring water toys like a kayak, stand-up paddle board, kneeboard, water skis and 4 snorkeling sets. 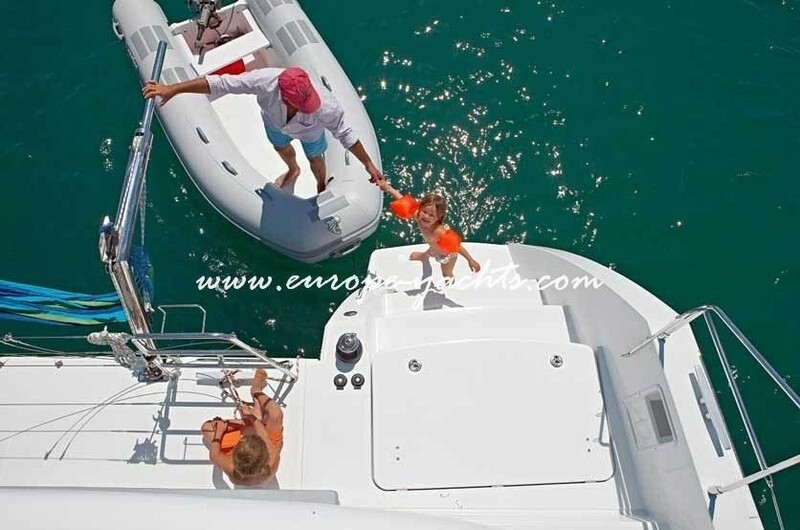 Some more power towing the tows will be ensured with a stronger outboard engine and 20hp and for utmost service and comfort the new models have a separate crew head/bathroom. 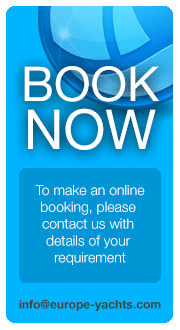 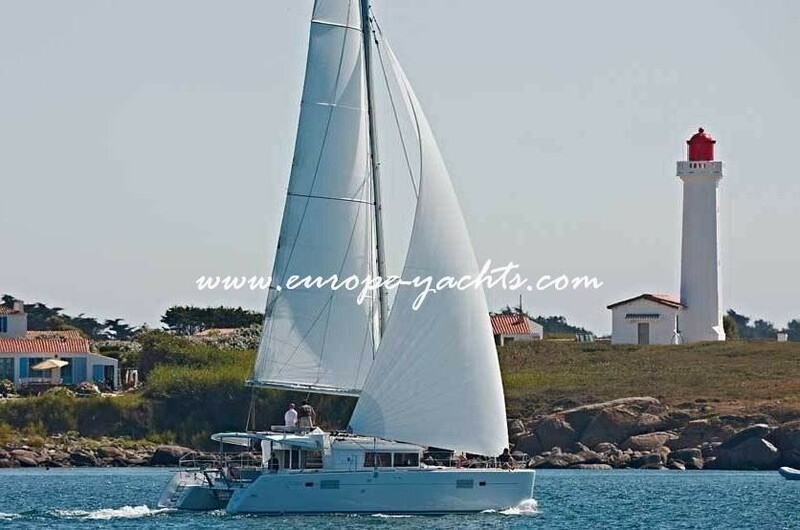 Book Lagoon 450 in Croatia on either crewed basis with skipper and/or hostess/chef or on bareboat basis, and ensure yourself unforgettable sailing holidays surprising your family and friends. 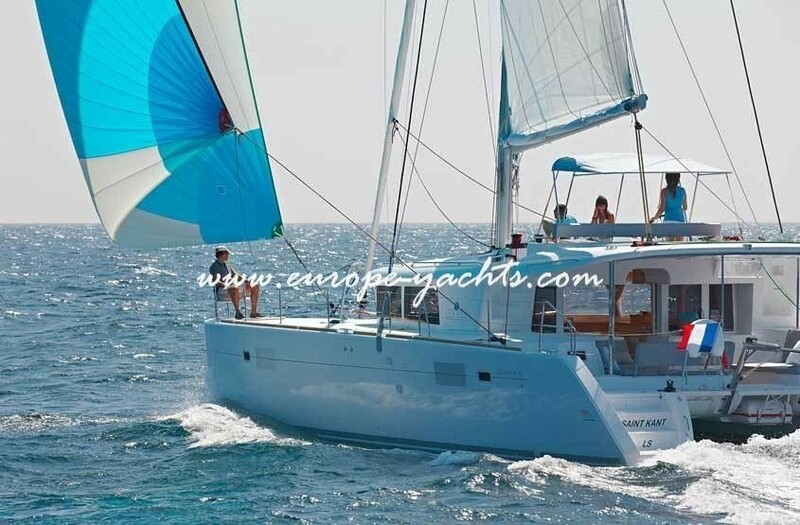 With a reliable catamaran like our Lagoon 450 offering the potential of a multi-year adventure with long distance cruising capabilities, you will experience a perfectly maintained charter yacht in immaculate condition delivering you moments of pleasure and luxury. 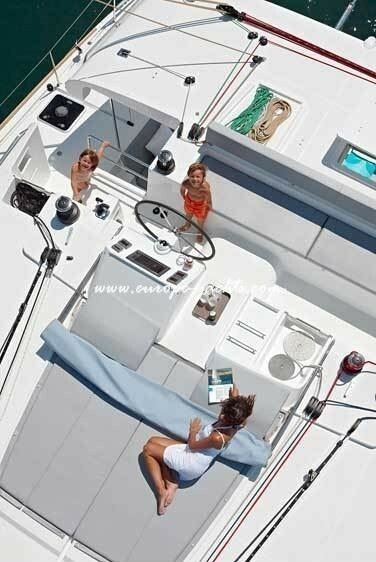 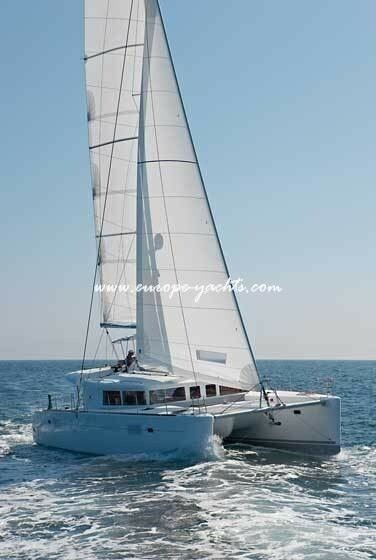 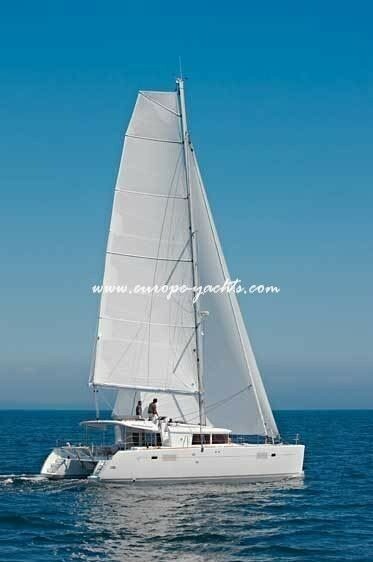 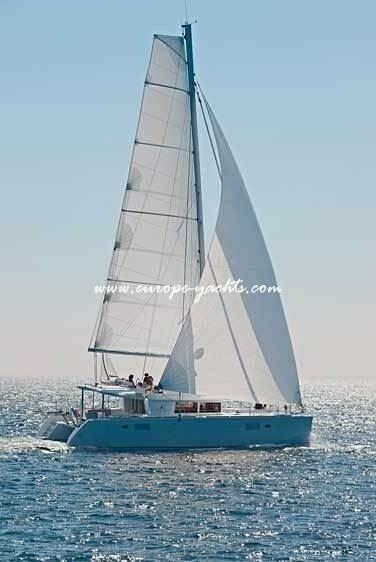 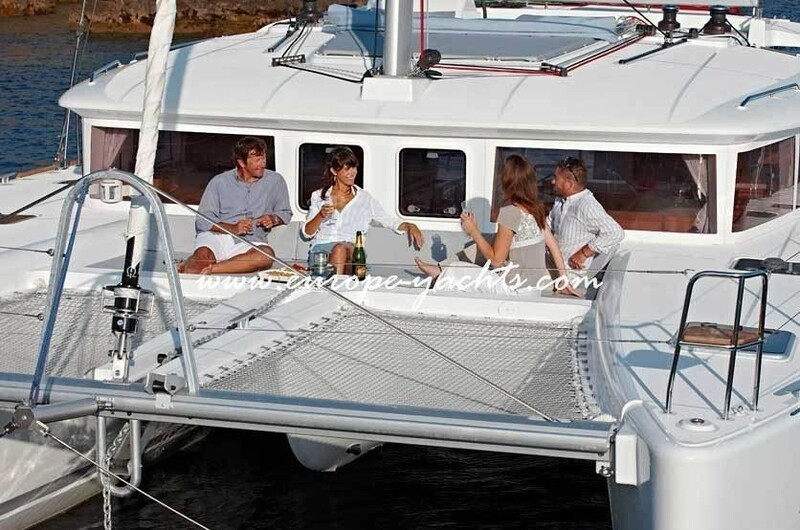 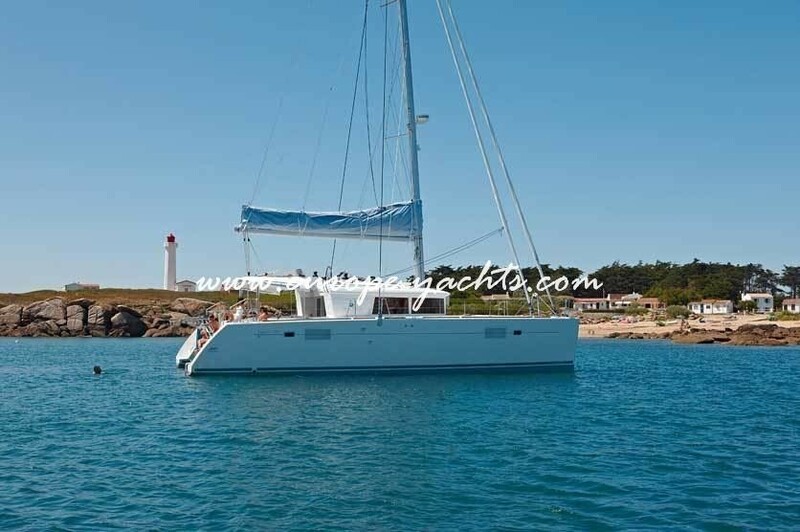 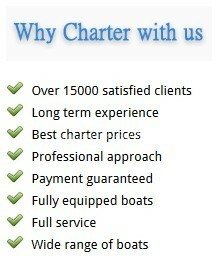 Charter catamaran Lagoon 450 for hire in Croatia now and contact us for an individual offer.